how are you all doing? It just went super icy cold in Berlin and I am just trying to survive. It's getting darker and darker much more early every day, this is the period I hate the most. Luckily, the darkest day will be in December and the days will start again to get longer with every single day! ^-^ When I was freezing yesterday during my shopping trip, I tried to find shelter at Douglas (which is, I guess, the German version of Sephora..?). There, they had a MAC counter. 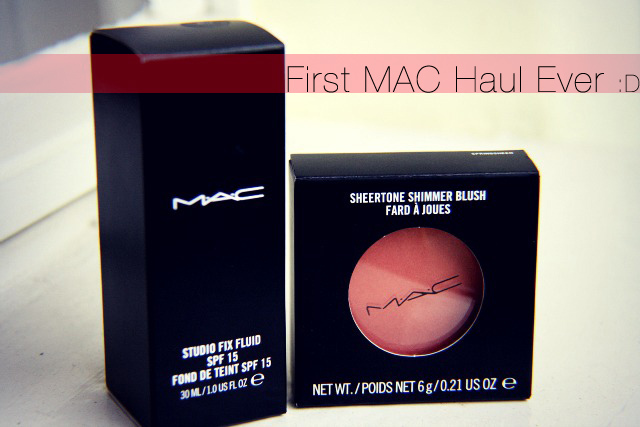 I never ever purchased anything from MAC, but as a beauty blogger I feel the urgent need to, lol. There are so many people craving about their products, I just HAD to try them. Plus, I just ran out of my favourite foundation and wanted to try some "better" ones for a while now. 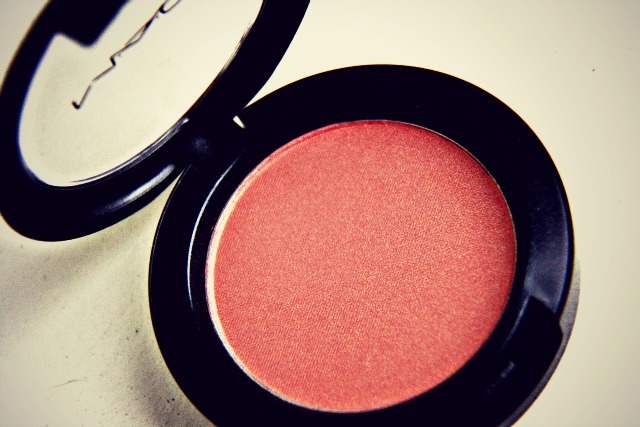 I tried out Dior and Chanel but their foundations are way too sheer for my troubled skin and after some research I heard that MAC might have a good solution for that. So I entered and with all the bravery I had, I asked a staff member if she could help me find a foundation. You have to know, I hate to consult the staff members when it comes to beauty products and trying them out. I always feel that I need to buy something because they spend so much time with me, it's like a pressure to buy. So this actually was my very first time consulting anyone in the beauty industry about my skin. The girl I asked was pretty busy so another girl then started to try out things on my skin. I have to say she really was nice and caucious; she didn't punch me in a corner like "This is good you should buy this" but instead she kept asking about what exactly I wanted. She kept making suggestions and in the end she did my whole face make-up with moisturizer, foundation, powder, concealer, blush and lipgloss :'D She then left me and said I could use all her materials and brushes how I like to and she'll be near if I'd needed any help. I felt so cared about! Seriously, that was a whole new experience. They didn't even mention the word "buy" once, they just kept on making tips and asking if they could help me with anything. I didn't feel any pressure to buy at all but in the end when I decided she seemed really happy that she could help a lost soul :D What a great service! I was so surprised in a positive way. So this is what I got; the Studio Fix Fluid in NC 15 (the lightest shade as far as I know) and a Sheertone Shimmer Blush in Springsheen. 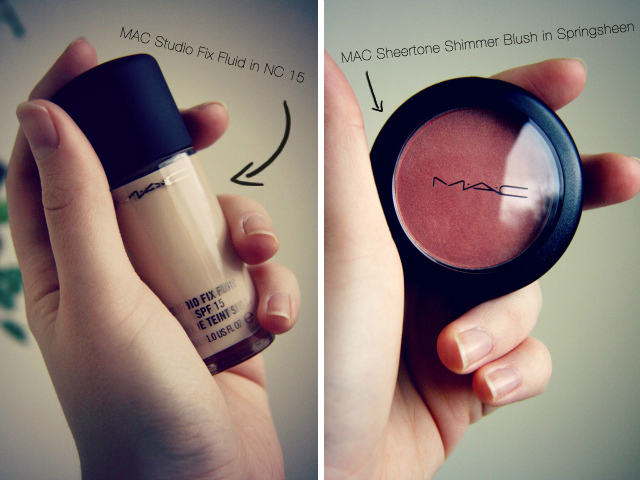 The Studio Fix Fluid the the foundation with the best coverage from MAC which has a matte finish. Although it costed me four times the price for my normal foundation, it's "only" double the price considering it also contains double the content. (18ml vs. 30ml) I'll make a review on this foundation in 1-2 weeks when I know how it lasts the day, if it makes me breakout etc etc. I've only worn it 2 days from now but so far it looks and feels great! 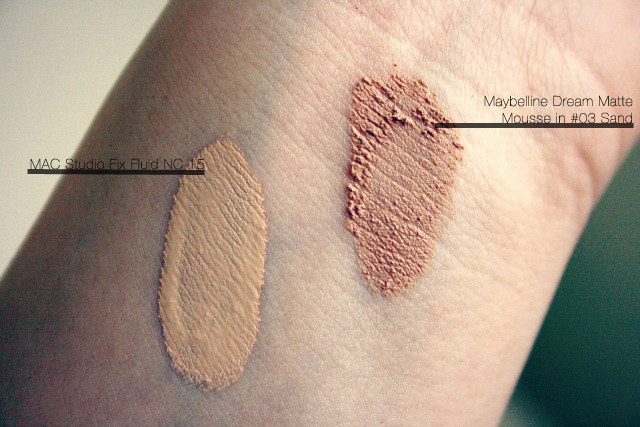 So natural yet high coverage, I'm in love. I hope it doesn't wear down while I'm working but we'll see! So, what do you think of these? Are you on the MAC lover side too? Or did you have any negative experiences? Since this whole MAC universe is completely knew to me I would love to hear your opinions! :) I fear this will be the only haul this month since I just received a heavy bill from my insurance (600$ which I should pre pay for March 2013 o___O"") and went from quite wealthy to poor in just some minutes. If I knew that before I would have gotten myself the cosmetics for Christmas and not this month =_="
Much love & See you next time! And I love your make up posts, they almost make me want to try something too haha.